C-Trak offer a wide range of Stainless Steel Systems manufactured in our UK premises in Bedfordshire. Designed and built to order. Products are offered with side guides and controls and stainless steel is used where ever possible including the bearings and drive components making it extremely corrosion resistant. Belts can be food grade PU belting. 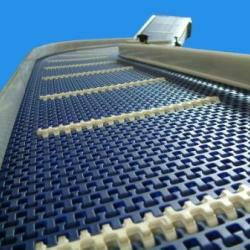 Modular/Plastic belt or Slats depending on the product. 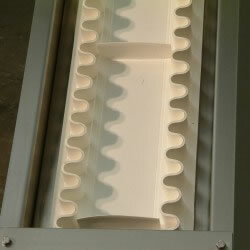 High and low temperatures can easily be achieved. Control can be a simple Start /Stop to a full PLC control. C-Trak's Stainless Steel Conveyors are built to last and due to the high quality materials used will out live traditional belt conveyors. Bespoke to order making them efficient and practical for your unique requirements. Brakes can be added to ensure stability.